This book will shed light on the day-to-day research and development activities of the researcher in any country of the world as a handbook in order to meet new needs in aviation and space Technologies as well as bring a new breath to the advanced aviation fuel operations in the flight industry. The author, with the intense knowledge of fuel technology, and the ability to follow the new aviation industry’s energy problems, aims to provide the technical readers with access to the information they need, especially in the form of headings, which are compiled in the United States. 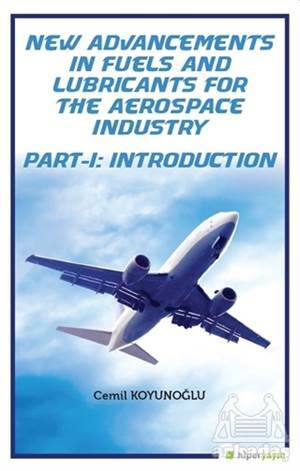 The author is pleased to present this first book of the aerospace technology series to valuable readers. Any positive or negative criticism of the book is important for the author to provide more accessible sources in later editions of the book. I would like to express my gratitude to the Hiperlink family and its valuable publishing company.